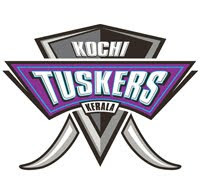 The Kochi IPL Team which will be making its maiden foray in the Indian Premier League this season will henceforth be known as Kochi Tuskers Kerala. An online voting was conducted by the Kochi IPL franchisee on their official website to find a name acceptable to the cricket lovers of Kerala. The franchisee were awaiting approval from the BCCI and the IPL governing council to rename the team which was priviously named as 'Indi Commandos'. The first match of the team will be against Royal Challengers Bangalore on April 9th. Four other matches of the team will also be played at Kochi.